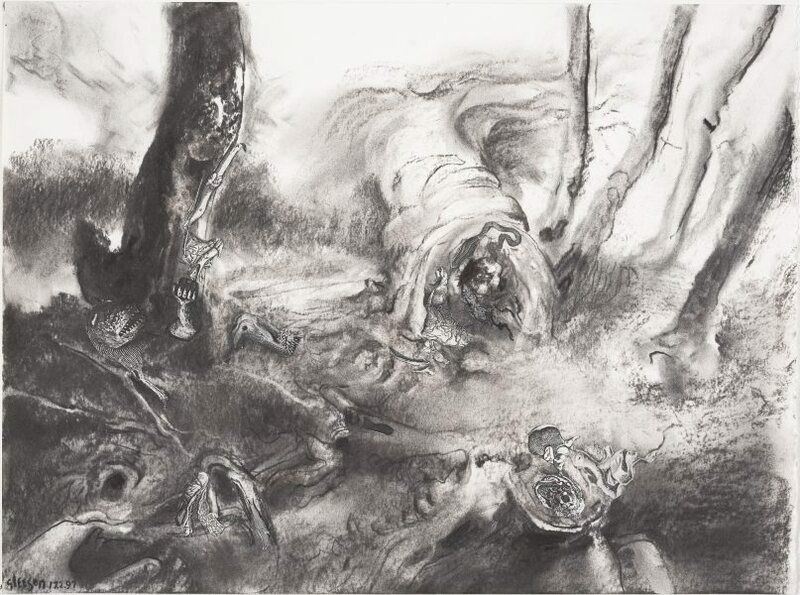 Gleeson's tonal approach to drawing had a significant impact on 'Within a waiting grove'. It was painted entirely in monochrome, with colour added in washes afterwards. Gleeson made only a few in this way; 'The sower' 1944, is another. Hendrik Kolenberg and Anne Ryan, 'James Gleeson: drawings for paintings', Art Gallery of New South Wales, 2003, pg. 119. Signed and dated l.l., charcoal "Gleeson 17.2.97".